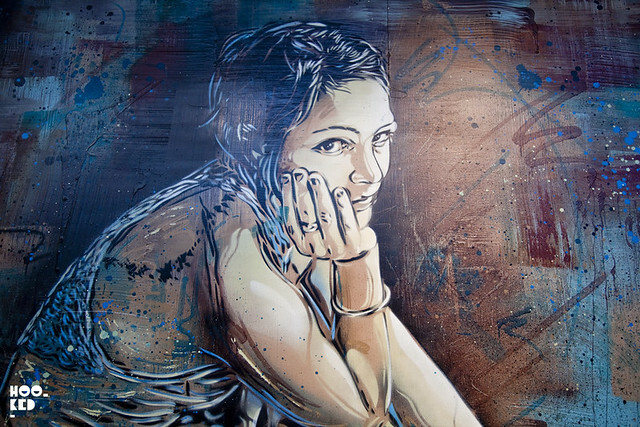 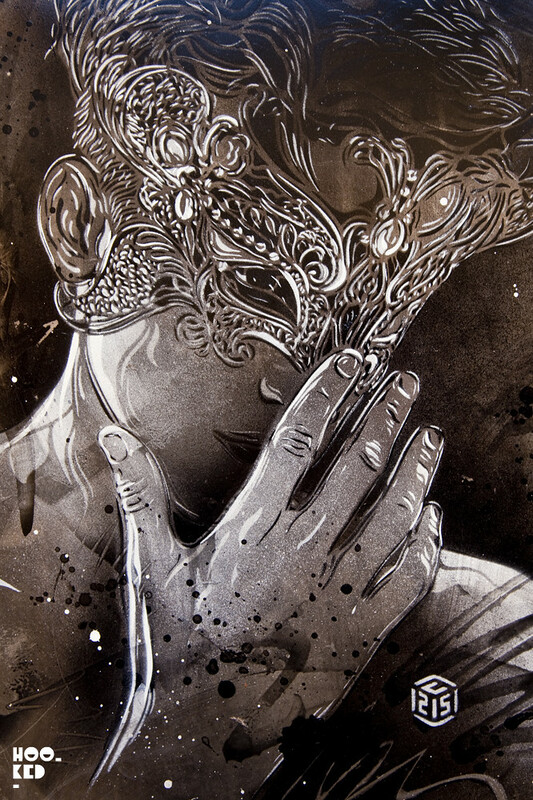 Having checked out the stunning new street mural in Shoreditch (covered here) from French Stencil artist C215 on Saturday we headed over to Stolen Space Gallery on Osborn Street to visit the artists Back To Black solo show at the space. 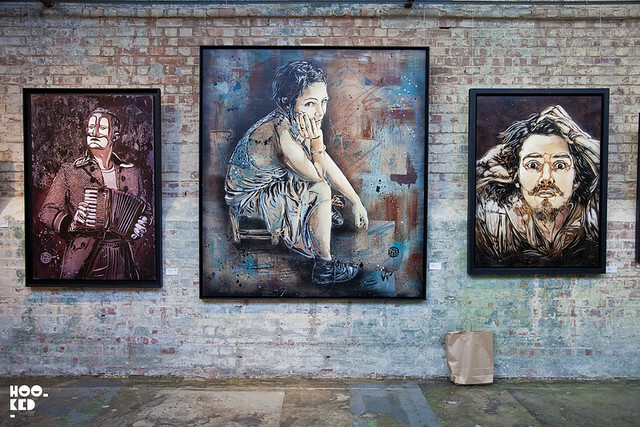 Hookedblog were unable to attend the opening preview of the show last Thursday but we were lucky enough to catch up with Christian Guémy aka C215 at the gallery for a quick chat once he had finished signing books for his fans at the space. 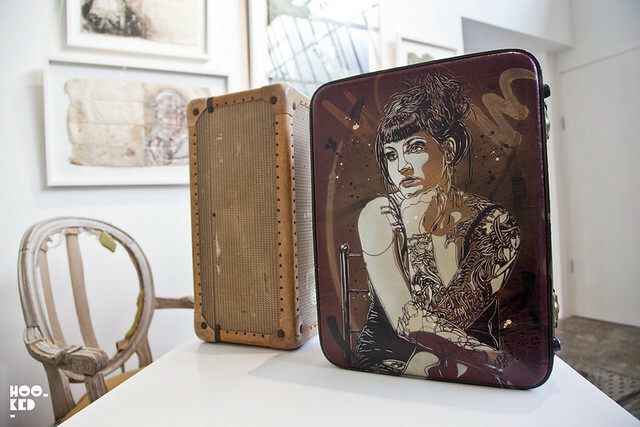 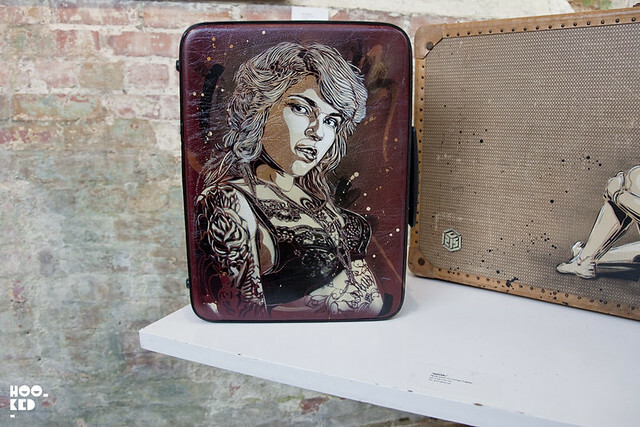 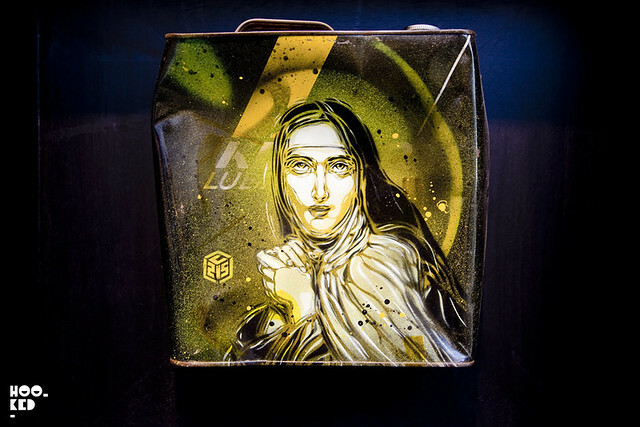 The show at Stolenspace sees the artist present a new collection of large works alongside smaller pieces on a variety of recycled objects such as folders, old suitcases and tins which were among some of our favourite pieces at the show. 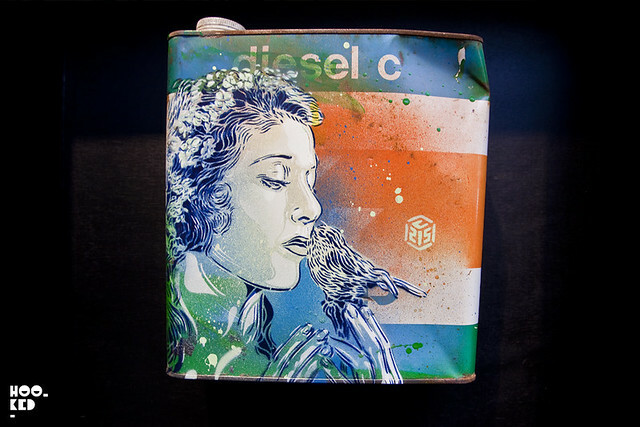 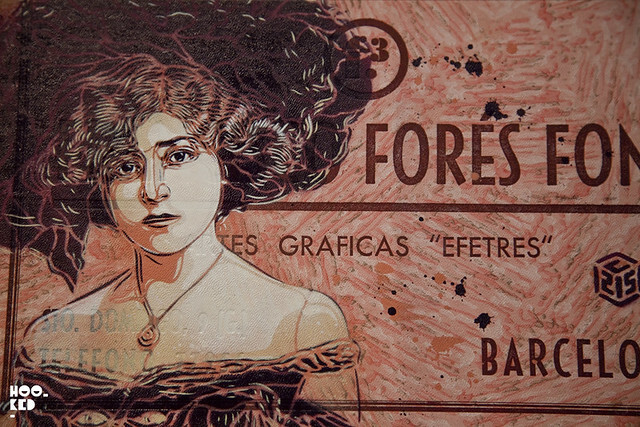 The spray painted stencil works in a stripped back palette of colour, featured newly cut imagery as well as some classic C215 stencil imagery a number of which have previously appeared on the streets of East London. 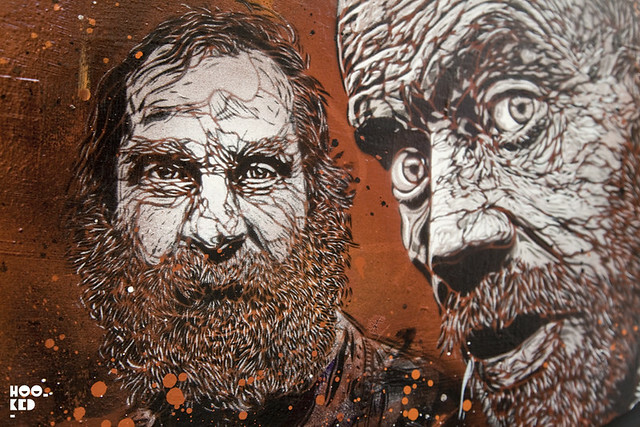 C215 will revisit the city again later this month for the London launch of the the Vitry Ville Street Art Book which will see C215 as one of the featured artists signing copies at Stolen Space Gallery on Friday the 21st February. 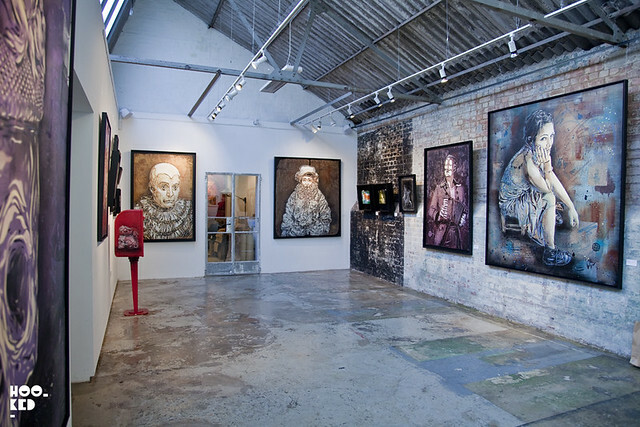 The Back To Black exhibition runs at the gallery until the 2nd March 2014, be sure and stop by if you are in London.